Want a newly constructed home, but tired of the same Beach Box design. This modified saltbox house plan will give you all the modern conveniences. 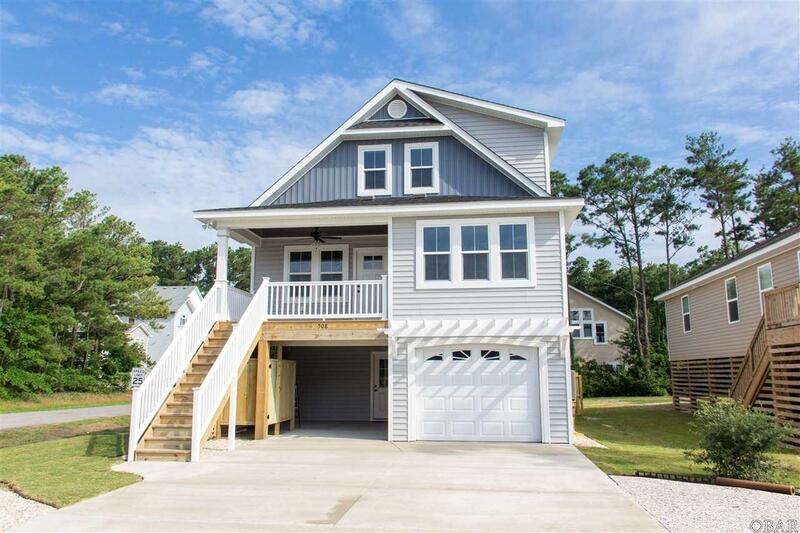 This 1,657 square foot floor plan is worthy of any HGTV feature or front-page cover of Coastal Living. As you enter the home from the ground level, you access a larger foyer. This is the perfect spot to drop the flip-flops on your way upstairs. The main living area, kitchen, dining room and hallways are finished with hand scraped bamboo flooring, custom trim and handrails. The kitchen features upgraded cabinets, Quartz countertops, a Stainless Steel farm sink, kitchen is finished off with smudge proof stainless steel appliances and custom lighting. The Master bedroom suite features a Tray ceiling, Quartz counter tops, a custom tile shower detailed with glass mosaics. A walk-in closet with wooden shelves finishes off this detailed space. The laundry and half bath are hidden behind a barn style door completing the space on the main floor. As you take the stairs bamboo stairs to the top floor, notice the custom stair rails. The two other bedrooms share an over sized bathroom; again with no detail left off the list. Each bedroom has a large closet, upgraded Shaw carpet with R2X Stain- guard technology. Need a space to enjoy outside? Enjoy the cover entertainment area with custom bar and ceiling when you have the friend over. The six foot privacy fence and the irrigated backyard give you everything you need for the children, the dogs or just getting away. Some things you won't notice at first but will over time. The exterior walls are 2x6, allowing more strength and insulation. The windows are all High Impact resistant WZ4 missile level D windows. ( no need for shutters or plywood) This home is energy efficient with a Lenox 2 zone 1400 seer HVAC system. This is a top of the line home.